Remember when you were 5 and your mom’s friends asked you what you wanted to be when you grew up, and you enthusiastically answered “I want to work with animals!” which only served to elicit condescending snickers from the room? Yeah, that’s because those ladies once dared to dream the same dream — and then grew up to be lawyers and doctors and chefs and teachers and had to watch as their dreams of working with animals faded into their starry-eyed pasts. But you? You kept that dream alive. And while the stress of college and the desire to just graduate already may have nixed the whole childhood “I wanna be a veterinarian” plan, it didn’t nix the fire in your heart — the fire, of course, for dogs. But since not all of us have the means to adopt 20 dogs and live with them on a huge farm in the countryside (#lifegoals), you have to get creative about how you achieve your dreams. 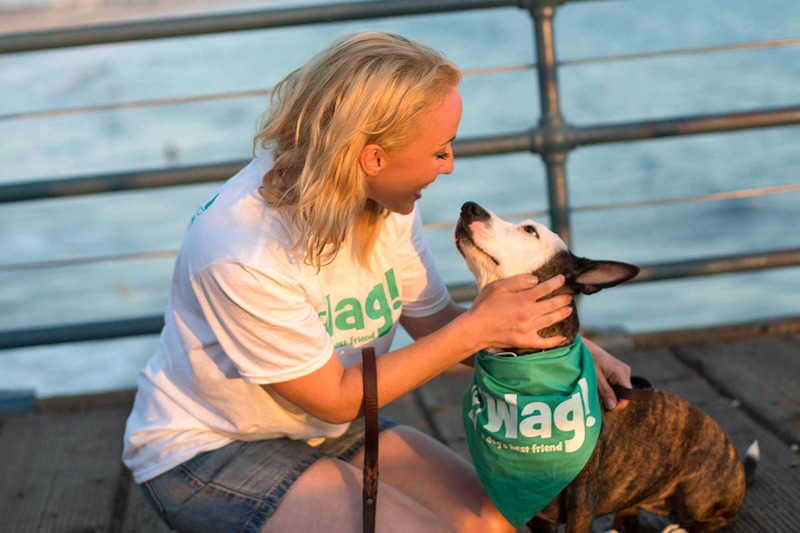 Enter Wag!, the on-demand pet-care app that lets owners connect with people in their area for dog walking, sitting and boarding services seven days a week. Right now, the company is looking for people in 29 major cities across the U.S. to become certified dog walkers (meaning you’re one step closer to achieving your dog-loving dreams). As a dog walker with Wag!, you’ll be able to use the app to set your own schedule and choose which jobs you’d like to take. According to the Wag! website, dog walkers can earn up to $25 per hour. We’ve reached out to Wag! for more details regarding pay and benefits, and we’ll update this post when we hear back. If you love dogs and are familiar with the day-to-day workings of the (very busy and very important) lives these puppers lead, you’re probably a good candidate for Wag!. The company also states a semi-professional dog walker must be physically fit and active enough to walk several dogs each day, familiar with basic dog commands and can make a commitment to providing quality care to quality dogs. You also must have an iPhone 5 or newer or an Android 4.2 or newer. Wag! walkers are carefully selected during a thorough application process, so put your best paw forward when you go to apply. First, you’ll go here to fill out your written application (check to make sure your city is on the list before you dive in). But definitely be ready to talk about your passion for puppies, your schedule and availability, and your experience in caring for dogs of all sizes and breeds. If you make it past the phone interview, you’ll be scheduled to meet for an in-person assessment of your doggo walking skills. You’ll be asked to perform some basic tasks like putting on a harness and leash to prove you’re not one of the crazies who has never actually come in contact with the warm love of a dog before. And if you pass the assessment? Congratulations! Your wildest dreams will finally, finally come true. There are opportunities for regular daily walks, house sitting or overnight boarding, so you get to decide how much puppy love is too much (or not enough — never enough). Or, if you’re just desperately wishing for some dog-on-one time and can’t have a pet because your landlord doesn’t think anyone should be allowed to be happy, you could always just borrow a dog for free. Your Turn: Do you have what it takes to become a professional dog walker? Grace Schweizer is a junior writer at The Penny Hoarder. She is both a cat and a dog person, and would like to wish every type of pet out there a happy #nationalpetday!